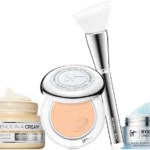 IT Cosmetics has taken a solutions-based approach to their Fall launches. 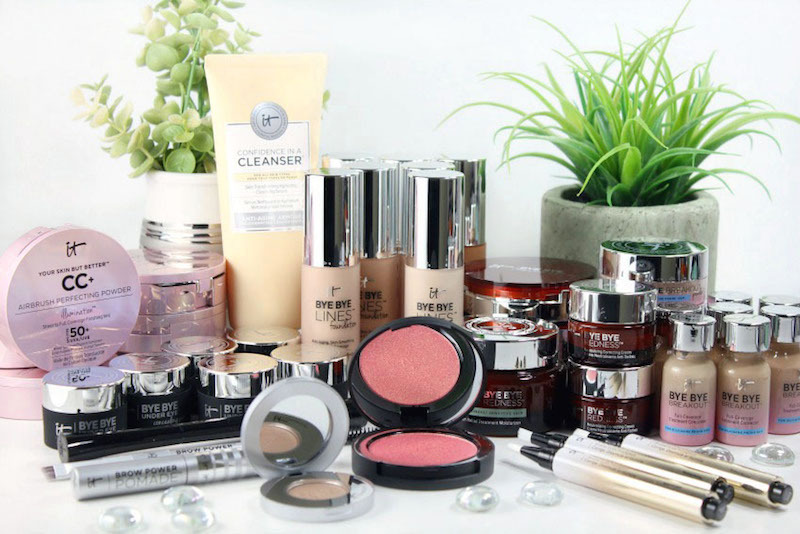 If you’re struggling with any of the following issues, there’s an IT Cosmetics product that will help. Since I just received this press package last week, I haven’t had a chance to fully test all the new products. But be assured that as I find things that I love, I’ll be doing an honest, in-depth review. 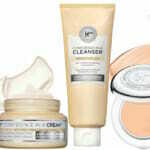 For aging and dry skin, there’s Confidence in a Cleanser. I’ve already been using this serum-cleanser in the morning and evening, and really love it. 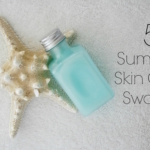 My skin feels totally clean and supple; like when I use a cleansing balm, only this is easier. 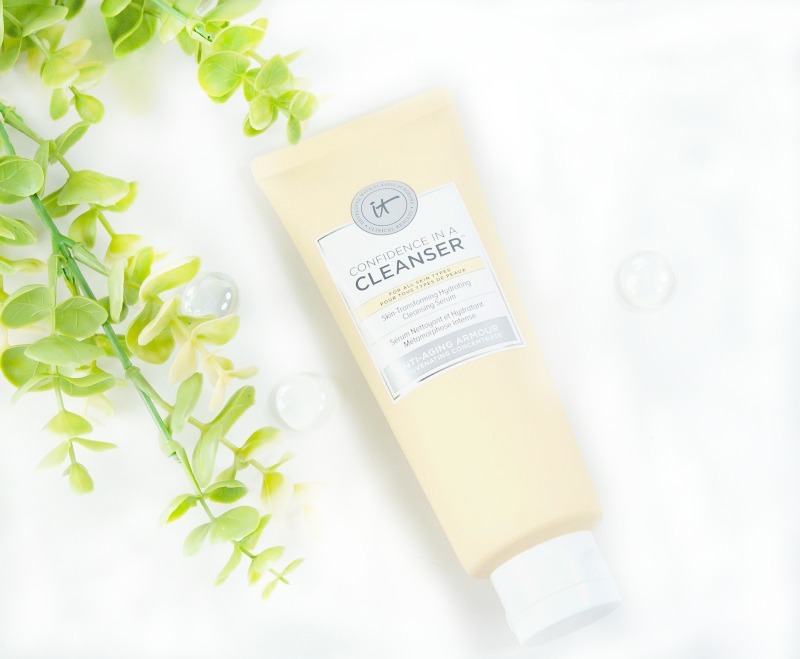 Confidence in a Cleanser also totally removes makeup–even waterproof. This one gets high marks! 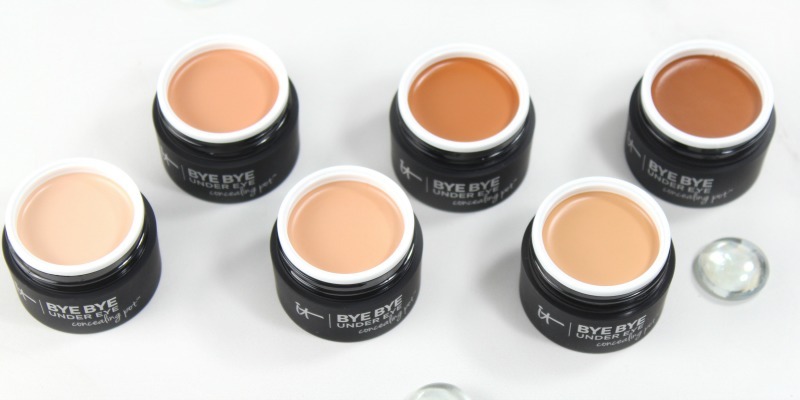 For dark undereye circles, try new Bye Bye Under Eye Concealing Pot. 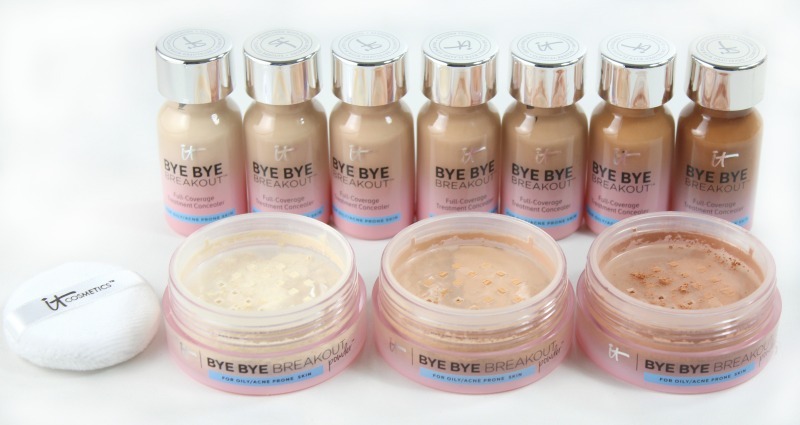 It has the same coverage as Bye Bye Under Eye™ Anti-Aging Concealer—plus skin-smoothing, line-minimizing technology. Available in six shades. It’s easier for me to use a pot than a tube, because I like using a concealer brush. 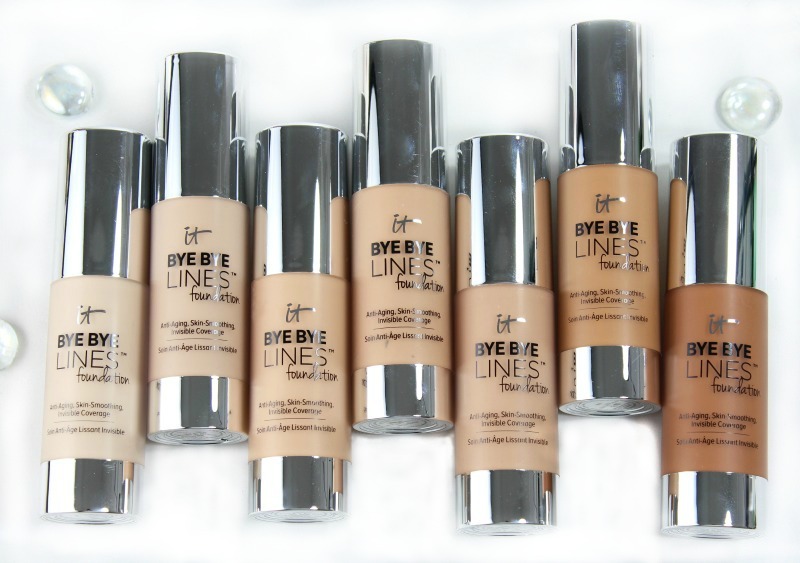 For lines and wrinkles… Bye Bye Lines Foundation. This new foundation combines the best of both worlds; a hydrating, anti-aging serum plus pure color pigments and Drops of Light Optical Blurring Technology™ for a full coverage finish. In seven shades. 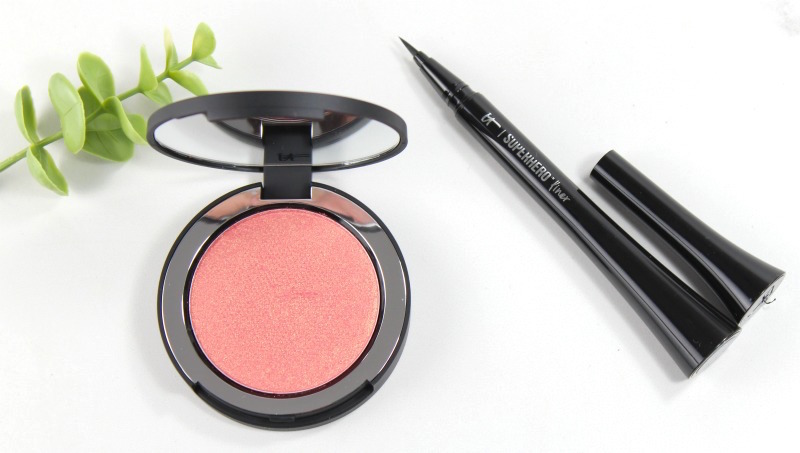 For dull skin, Your Skin But Better CC+ Airbrush Perfecting Powder Illumination SPF 50+ and Perfect Lighting Radiant Touch Magic Wand (three shades). 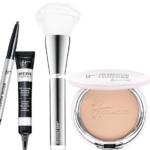 So far, I’m loving the Perfect Lighting Radiant Touch Magic Wand…it instantly corrects, conceals and brightens. 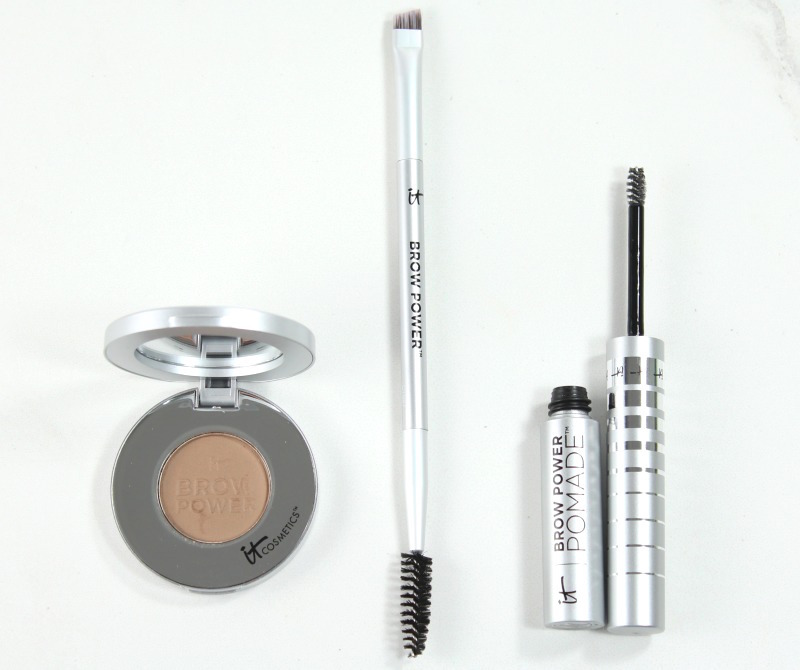 If your brows don’t wow, then there’s Brow Power Powder, Brow Power Pomade and a new Heavenly Luxe Brow Power Brush—yassssss! I adore IT Cosmetics’ brushes and am excited to add this brow brush to my collection. The Brow Power Powder is available in one shade, Universal Taupe. So excited for this one! 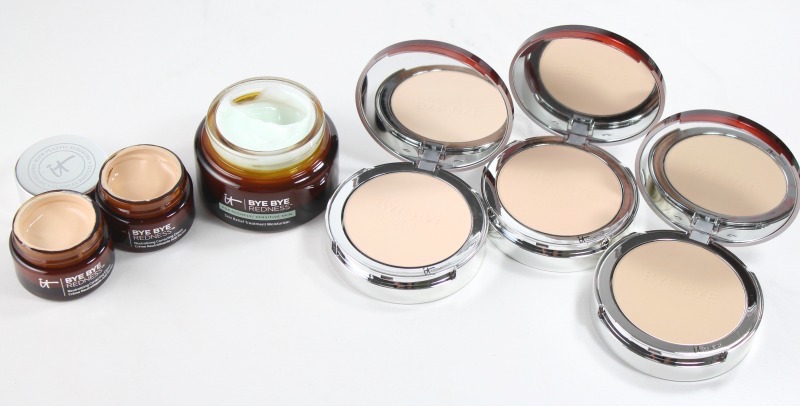 For skin that’s dealing with blemishes and/or acne: Bye Bye Breakout Concealer and Bye Bye Breakout Powder. 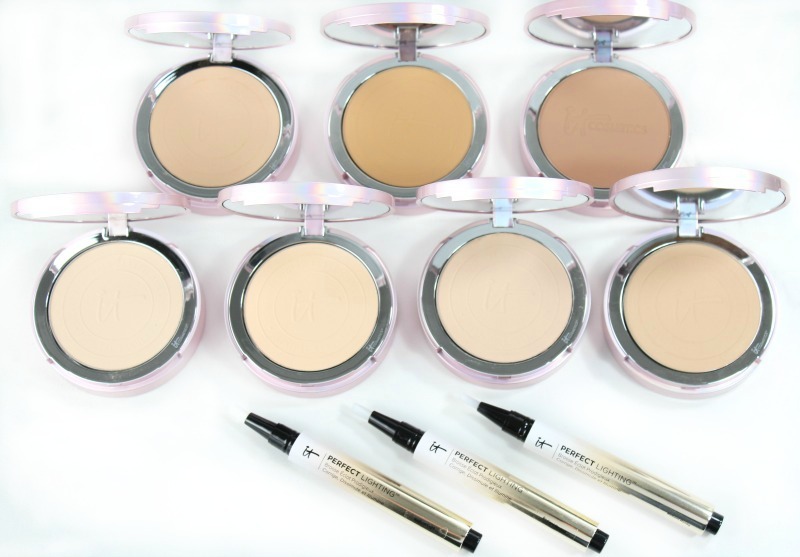 The full-coverage concealer comes in seven shades and has a gentle skin-transforming AHA/BHA complex, making it a drying lotion and concealer in one. The talc-free finishing Bye Bye Breakout Powder minimizes shine and reduces the look of blemishes, and helps soothe acne-prone skin with tea tree, sulfur, witch hazel and a gentle AHA/BHA complex. Available in three shades. If you have redness or sensitive skin, new Bye Bye Redness™ Skin Relief Treatment Moisturizer is ultra-gentle. 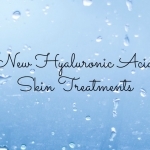 It helps to calm and soothe your skin while neutralizing and transforming the appearance of redness. There is also new Bye Bye Redness™ Redness Erasing Correcting Powder, which instantly erases the look of redness, rosacea, broken capillaries and any imperfections. I’m also excited about the new Superhero Liner (with 24 hour waterproof wear!) and Bye Bye Pores Blush! 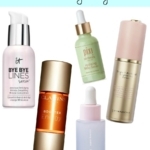 You can find most of these launches now in select ULTA stores and in limited release on ulta.com. Which new products have caught your eye?